The Sanctions taken by European Union for some Burundians without abiding by the law is a foresign of aggression. The European Union member states met on 1st October in Belgium where they decided to take unfair sanctions against 4 Burundians from Hutu ethnic. The restrictions prevent the concerned to access to the European Union member states and put a freeze on their assets in the 28 member states. The CNDD-FDD party is deeply concerned about the decision since such measures take the country back to the past Burundians went through, a past where a group of handful of politicians that shed blood and clinged to power for more than 40 years murdered the first democratically elected president Melchior Ndadaye. It is pitiful that the European Union folded arms in such hard times let alone filing cases for the then assassins and did not put a ban on them to enter Schengen space, while the criminals were implementing their plan to massacre a community belonging to the same ethnic . One has to bear in mind many a question: Did the European Union decline responsibilities to sanction people whose plan is common with that community? Was the then European Union justice different from the one in force presently in the same Union? Is it true that that block feared to take restrictions against the group considered to be beyond the law? Are the allegations against the group of the 4 people similar to the long time planned genocide, to the point that they internationally accuse the government to be its mastermind while is the opposite? 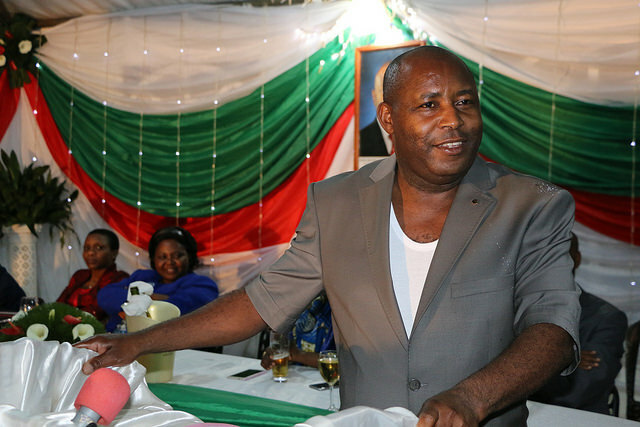 Why have the deciders never informed Burundi? Is that the sort of rule of law the European Union and the Africa Caribbean Pacific prefer to force African countries to apply, etc.? The political issues have responses from political arena, the judicial issues are sorted out by the justice while mathematics issues refer to mathematics. The violation of international law, the fact of using harassment of a given community to destroy the police institutions put into place after a long way while ignoring the mistakes made by the riots’ planners till they try to overthrow the government and forget about the everyday government call, this is nothing but a proof that justice has been broken by decision makers to reach their aims. The civil society organizations such as Initiative and Change, OLUCOME , etc, would like to convince their followers through several meetings, press conferences and workshops that the origin of the bloody demonstrations that turned out into upheaval to end up with an attempt to overthrow the democratically elected government, stems from a conflict between the power and the rude opposition. This judgment is too wrong to the point that they forget that the People is the power’s holder. Any person is aware that the violent demonstrations have started a day after the ruling party CNDD-FDD gathered in congress and presented H.E. 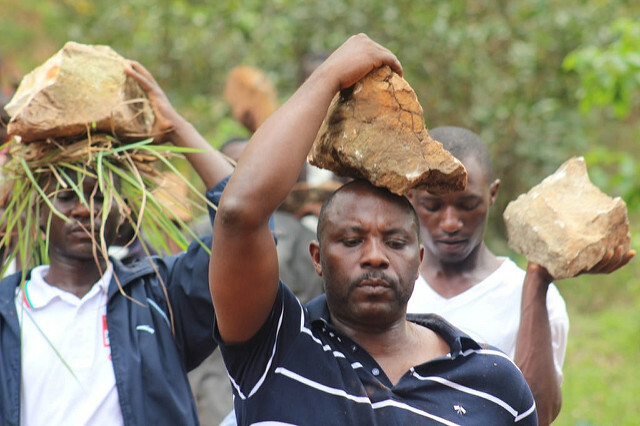 Pierrre Nkurunziza to be the presidential candidate for the 2015 elections. That congress has taken place at different levels such as districts, communes, and provinces. The denial of the candidacy presented by the CNDD-FDD is nothing but a shameful expression of the tough opposition against the will of the population. This is much more understandable in that the candidate does not belong to the opposition parties. It definitely goes without saying that the above mentioned organizations convey ideas of the radical opposition, ideas that are blatant lies. The truth behind is that the opposition has problems with the voter or simply the Burundian people. It is worth to mention that the people denied by the organizers of the bloody demonstrations, upheavals and the foiled coup d’etat will have to give account to the population , the only power holder through the forthcoming talk. The CNDD-FDD is astonished by the decision to provoke; decision taken by the European Union to discriminate and marginalize some Burundians, without collaborating with Burundi, yet the nation would like to re embark on national inclusive dialogues a part from people whose aim is to dismantle defense and security forces. The European member states have chosen to take decision opposed to the will of Burundi to reconcile all Burundians through dialogues. The idea behind is to block the dialogues since those who have taken the decision did not reach their ends: to topple the democratically elected government put into place by the citizens in a move to head to the transition government, hence enable the communities to loot the natural resources without hindrances . The persons intended to be part of the so called government of transition are described to be people unable to properly rule for the well-being of the citizens a part from opening pathways to deciders to plunder. It is not understandable that the neighboring countries such as East African Community, African Union and the United Nations even several meetings that were held to find a solution to the conflict including the European Union to agree that the dialogues are the only way to the solutions, yet they take tough measures instead of backing the country heading to the right direction. This takes back to dark past. and 1997 exactly in Shabunda in DRC where 5000 Burundian Hutu refugees have been massacred by the time the Inkotanyi Rwanda patriotic front invaded the DRC? However, all of the dead bodies were thrown into the river around Shabunda city. The international community specifically the EU did not take a position to say whether there are people born to live while others have to die. To continue the way of good cohabitation so as to avoid provocation since the CNDD- FDD and its government are mainly concerned with peace, strong and the best ties with the neighboring countries and the international community as well.